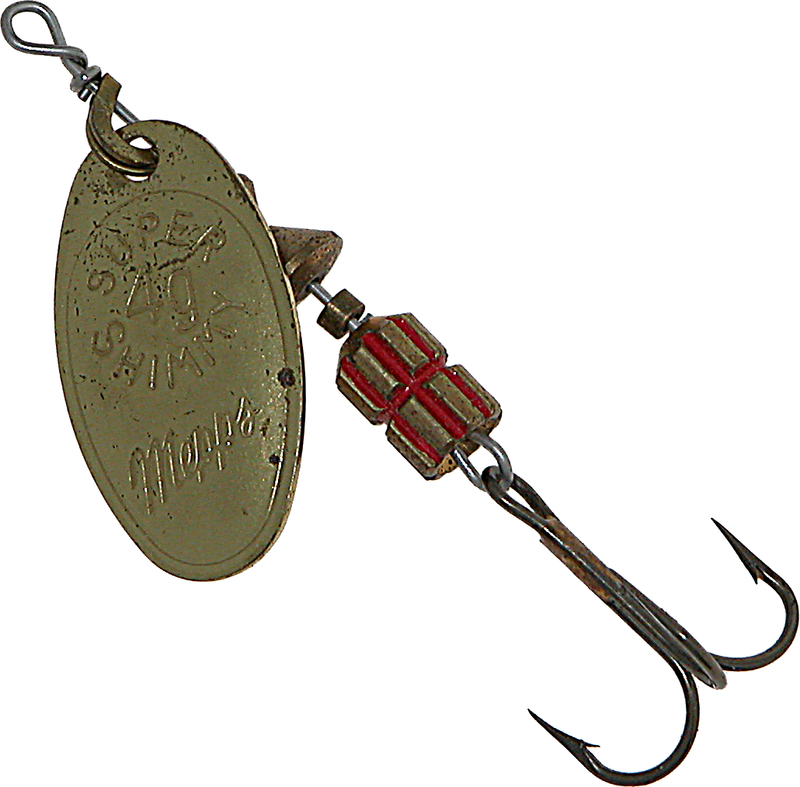 The classic Mepps fishing lure the Aglia, was invented in France in the 1930s and patented in 1938. (Mepps is a French acronym for Manufacturier d’ Engins de Precision pour Peches Sportives, translated as “Manufacture of Precision Equipment for Sport Fishing”.) 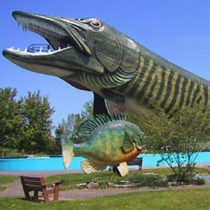 It was introduced to northern Wisconsin, and to the U.S., by a G.I. returning from France. 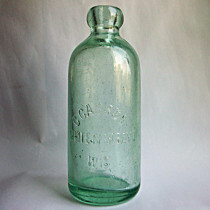 The Aglia is still made in France, assembled in Antigo and packaged and distributed from Antigo throughout the U.S. The company is owned by Sheldons’ Inc. The Aglia’s backbone is a stainless steel shaft with a concave oval blade, spinner body and a hook attached. When drawn through the water, the blade rotates around the shaft creating both flash and vibration. 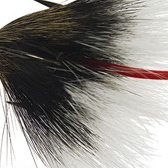 Either will attract fish, but combined they become a lure game fish can’t resist. 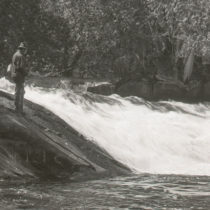 In the early 1960’s, company founder and owner Todd Sheldon met a young boy having success with Mepps lures to which he had attached a small tuft of squirrel tail. 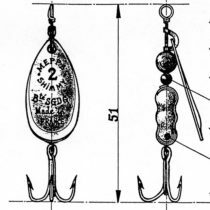 Sheldon experimented and was soon incorporating squirrel tails into his commercial lures. 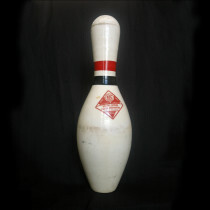 This has proven to be the most successful variation of the classic spinner, developed in France. 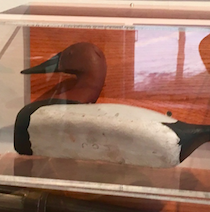 Fishing equipment like the Mepps lure helped to make northern Wisconsin a fishing destination for tourists, and help us understand how recreation has played a part in Wisconsin’s waterways’ environmental and political histories.